'To Secure a Future, Britain Needs a Green New Deal', Ann Pettifor makes a compelling case for change in the way we handle renewable energy. As this book goes to press, a range of financial bubbles plague both the British but also the global economy. These include the auto loans bubble, the student loan bubble, stock and bond market bubbles, house price bubbles and the Chinese credit bubble. But the biggest bubble of all is the carbon bubble – and when that bursts the catastrophic impact on the world will eclipse the impact of the 2007–9 financial crisis. It may just be that the carbon bubble is already bursting, and that Hurricane Harvey is the harbinger. On 2 August 2017, environmentalists marked Earth Overshoot Day – by which time we had used more from nature than our planet can renew in the whole year. In other words, human activities had breached the ecosystem’s resource limits and boundaries. We were reminded once again that the world faces limits to the ability of the atmosphere to absorb toxic emissions generated by fossil fuels. Breaching these limits has consequences: extreme weather, floods, droughts, extreme heat and cold. Today’s refugee crisis on the shores of the Mediterranean is but a precursor to the ‘tens of millions of climate refugees [who will be] unleashed upon an unprepared world’ by extreme weather events. Couple this with humanity’s careless disregard for the species on which we depend and their need for safe habitats, and we face major extinction events. By contrast, Silicon Valley billionaires confidently assert that we can look forward to an automated future. This promise is based on the availability of limitless supplies of the ‘conflict minerals’ known as ‘rare earth’ materials that power our smart- phones, cameras and GPS devices. The truth is that supplies of titanium, boron, selenium, lithium, zirconium, etc. – like all the Earth’s assets – are finite. In an earlier sign of changing times and attitudes, the oil company British Petroleum changed its name to BP as it ‘set its sights on newer assets and established an alternative and low carbon energy business’. Does Britain’s Finance Sector Care? So, while scientists warn the costs of continued fossil fuel extraction will be an ‘uninhabitable Earth’, and the Bank of England governor warns of the threat of ‘stranded assets’, ‘politicians, exchange executives, lawyers and bankers’ seek to encourage, finance and embed Big Oil within Britain’s financial and economic system. But as reality dawns, and investment in and demand for clean energy outpaces investment in and demand for oil, oil companies (like ARAMCO) may soon be ‘stranded’ and become as extinct as the behemoths of the Old Testament. The City’s investors – including those representing thousands of pensioners – will be the victims. That is one reason among many that Britain’s climate security as well as its financial security needs to be improved, and as such it is vital that a Labour government removes Britain’s finance sector from its role as master of the British economy, and instead ensures that it is made servant to the transformation of the economy away from dependence on fossil fuels and financial speculation. For, as Labour’s National Executive argued in a document on Full Employment and Financial Policy in 1944: ‘Finance must be the servant, and the intelligent servant of the community and productive industry; not their stupid master’ (my emphasis). Within nature, plants, animals and humans are seeded, or born. They mature, and then they die. Not so for an economic concept that grips the economic profession: ‘growth’. Behind the concept lies an implicit assumption: that the expansion of economic activity can be, and is, limitless; that it will move relentlessly in an upward trajectory. It is a concept that drives capitalism’s globalisation ambitions: the need to continually expand and disrupt new markets, lower labour costs and make capital gains – for the few – from rent-seeking and speculation. The concept of ‘growth’ was adopted relatively recently by the economics profession. Its adoption served in part to dismantle the Bretton Woods economic order (a system that had led to a ‘golden age’ in economics) in 1971, and to facilitate the globalisation and financialisation of economies. In an essay, ‘The National Accounts, GDP and the “Growthmen”’,  Geoff Tily, the TUC’s chief economist, explains that the concept evolved as recently as 1961. OECD technocrats were encouraged by economists, like Financial Times columnist Samuel Brittan, to promote policies that would turbocharge the economy. At the time, Britain was in the happy position of providing full employment to her people. Macmillan’s 1957 comment that Britons ‘had never had it so good’ still rang true. The ‘growthmen’, as they called themselves, were nevertheless discouraged by these high, sustainable levels of employment and economic activity. It is my view that they were frustrated because profits made in the ‘real’ economy were not as high as the capital gains that could be made through financial speculation. The question was: how to turbo-charge profits? The answer: accelerate ‘growth’. Samuel Brittan’s The Treasury under the Tories, 1951–1964 reads like a manifesto for the ‘growthmen’. He records that the Organisation for European Economic Cooperation became the OECD on 30 September 1961; on 17 November, the OECD agreed a 50 per cent growth target for 1960–70 – a rate of change of a continuous function. This target was to be applied to Britain. At about the same time, on 12 September 1961 the Council of the OECD adopted their Code for Liberalisation of Capital Movements, presumably intended to fuel the ambition of rapid and relentless ‘growth’, regardless of the extent of capacity in the labour market. The result? High rates of inflation (often blamed on trades unions), but also, and in the broadest sense, intensified exploitation of the Earth’s finite assets in order to achieve ‘growth’ targets. The consequence was ‘globalisation’ – the financialisation of the global economy. This in turn led to rises in global production and consumption – and in toxic greenhouse gas emissions. Big business is waking up to the threat posed by climate change to future economic security. Clean energy investment (excluding nuclear and hydro) rose from about US$60 billion per annum in 2004 to hit a record of US$349 billion in 2015. At the same time, clean-energy prices plummeted around the world. Although investment in clean energy fell in 2016, the number of renewable energy installations rose by 9 per cent. China is now leading the world and the Asian region by expanding investment in clean energy. Thanks largely to Chinese production, solar PV modules costs have fallen – by 99 per cent since 1976. 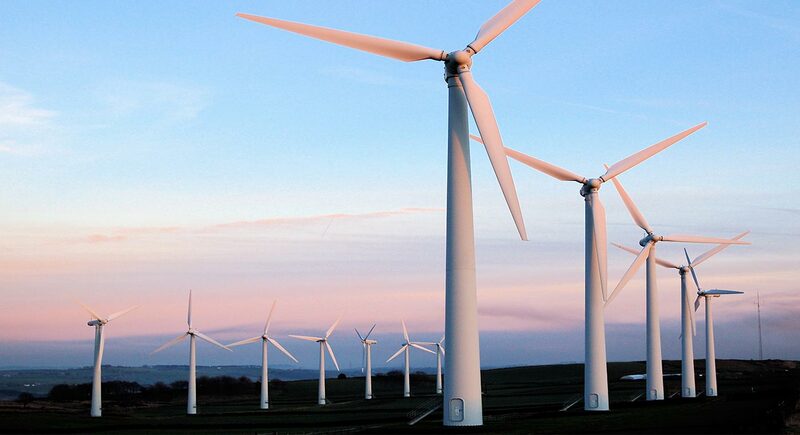 Wind energy costs are down by 50 per cent since 2009. Nuclear energy now costs about US$140 per kilowatt hour as opposed to wind energy costs of just US$34 per kilowatt hour, according to Bloomberg’s Michael Liebreich, and the costs of maintaining clean energy installations are much lower than those of dirty fuels. The efficiency of cars has improved substantially over the last eight years, and will improve further as electric cars gain a foothold in the market. A car is no longer the status symbol it once was. If more is done by way of city planning to facilitate walking, biking, carpool- ing, trains and buses, then reliance on cars will diminish further. The growth of energy efficiency in lighting has also been dramatic. LED lighting uses 90 per cent less energy than traditional incandescent bulbs and has the potential to transform lighting systems around the world. While Britain will benefit from the move towards alternative and more efficient energy sources, there is one area in which progress has not been made: in space heating. One of the biggest challenges a Labour government will face stems from the poor thermal performance of Britain’s old housing stock. However, while the state of the housing stock will make it a challenge to meet carbon reduction targets, it is also a great opportunity. To address this challenge will require the devolution of energy, as argued in Labour’s manifesto: ‘Protecting Our Planet’.14 We argue that Labour should go further, and ensure that every one of Britain’s 27 million households becomes a power station, so that energy efficiency is maximised. The training and recruitment of a high-skilled, well-paid ‘Carbon Army’ must be part of a wider shift from an economy narrowly focused on financial services, and on low-productivity, low-paid, insecure jobs, to one that expands productive activity and is an engine of environmental transformation. Increased employment by up to 108,000 net jobs per annum over the period 2020–30, mostly in the service and construction sectors. These jobs would be spread across every region and constituency of the UK. That is the strong economic case for mobilising a ‘Carbon Army’ to achieve both climate security and poverty reduction. To kick-start investment in the Green New Deal will require the next Labour government – in cooperation with the monetary authorities, the Bank of England, the Treasury and the Debt Management Office (DMO) – to sell valuable assets in the government’s possession. Thanks to the founding of the Bank of England in 1694, and ever since then, British governments have not had to resort to taxation to finance investment and spending. Instead finance has been raised by the sale of public assets backed by Britain’s 31 million taxpayers. These are known as government gilts or bonds. These government assets are in great demand because governments like Britain with sound tax-collection systems and strong institutions are regarded as the safest destination for investors – both individual investors, and big institutional investors such as insurance companies and those that manage pension funds. The sale of gilts has served as the time-honoured way in which governments have financed wars, infrastructure, spending and, recently, private bank bailouts. Given the security threat that climate change threatens, financing the Green New Deal should be undertaken in the same way, and with the same urgency as the financing of a war to defend the nation’s security. If the finance so raised is used to invest in productive activity that leads to skilled, well-paid employment in both infrastructure and services, then the ‘multiplier’ will kick in. Employees will pay taxes – for all the years of employment. Years of taxpaying employment will mean that returns to the Treasury (via HMRC) will ensure the investment will pay for itself. Once employed, and by spending on housing, food and clothing, employees will increase government tax revenues (e.g. VAT) from firms and other sources. Profitable firms will pay higher corporation tax, and so on. In other words, the investment in full employment will not only generate tax revenues from the employed, but will also ‘multiply’ tax revenues from other sources. These higher tax revenues can then be used to pay down the public debt associated with the gilts or bonds issued to finance the Green New Deal. Indeed, only full employment can balance the government’s budget. ‘Look after employment’, the great John Maynard Keynes once said, ‘and the budget will look after itself ’. Estimates suggests that to implement the Green New Deal would cost, at the minimum, about £40 billion a year, for many years. This level of investment would help finance the transformation to sustainable energy sources and transport, to retrofit the housing stock and for flood protection. In 2016/17 public investment was approximately £73 billion gross (about 4 per cent of GDP). If this was raised by £40 billion – to £115 billion a year gross (or about 6 per cent of GDP) – this would be comparable to the mid-Thatcher years (1984–5) when gross investment was 6 per cent of GDP. Raising public investment to this level would place Britain in line with Germany and the US, where current levels of public investment are at 6 per cent of GDP. In other words, governments have invested at this rate before, and can do it again. The state has no source of money, other than the money people earn themselves. If the state wishes to spend more it can only do so by borrowing your savings, or by taxing you more. And it’s no good thinking that someone else will pay. That someone else is you . . . There is no such thing as public money. There is only taxpayers’ money. Her flawed understanding of the public finances was subsequently echoed by David Cameron on the campaign trail, on 6 April 2015: ‘We know that there is no such thing as public money – there is only taxpayers’ money’. The belief that all spending is financed from taxation, that the government has no other source of financing, and that like a household, it has, under all circumstances, to ‘balance its books’ between expenditure and tax income, is flawed economic theory. Governments are not like households, and have other sources of finance. The Treasury, working closely with the monetary authorities, could finance the Green New Deal without having recourse to tax revenues. In fact, tax revenues (from, for example, increased employment) would be a consequence, not a source, of government investment. Mrs Thatcher’s flawed economic ideas are tacitly supported by professional and academic economists, including those at the Treasury, the Office for Budget Responsibility and the Institute for Fiscal Studies. The theory was adopted wholesale by politicians from across the spectrum; those who worry endlessly about ‘fiscal rules’ and other ways of ‘cutting the debt’. It is a flawed theory that has had disastrous consequences, as witnessed by ‘austerity’ in Britain and Europe. It is an economic theory that has delivered a severely weakened British economy, while at the same time leading to a rise in public and private debt. The ‘fiscal black hole’ that Conservatives (and the Institute for Fiscal Studies) complain of exists as a consequence of George Osborne’s failed ‘fiscal rules’. It cannot be ‘fixed’ without fixing the defective economic strategy based on austerity. Cutting public spending in a slump has not worked, and will not balance the budget. Instead it has weakened the already weak, postfinancial crisis economy. Government policy should not be about the design of fiscal rules. Instead we should ask: what fiscal policies are compatible with an economic strategy aimed at boosting national income? What fiscal policies would increase both public and private investment, employment, wages and tax revenues? That has not been the approach since 2010. As a result, Britain has high, and still rising, levels of public and private debt. And because of ‘austerity’ the government’s ‘books’ are not balanced. The country is excessively reliant on one leg of the economy: consumption. Britain’s trade terms are dangerously out of balance with the rest of the world. The UK has one of the lowest levels of private and public investment in the OECD, and has suffered the slowest ongoing economic recovery in history. High levels of low-paid, insecure employment in low-productivity work are further weakening the economy. As a result of these imbalances and of economic weakness, Britain has suffered social and political unrest. This was most clearly manifest in the referendum vote for Brexit. If we are to secure a sustainable, stable and liveable future for the people of Britain, then implementation of the Green New Deal will be vital. Not just for the sake of the ecosystem, but also for the sake of rebuilding a stable, sustainable economy. A sustainable economy will be one dominated by a ‘Carbon Army’ of skilled, well-paid workers. Workers that will help substitute labour for carbon, and that through employment will generate income – income needed by households for paying down debts and buying homes; income needed by wind farmers and other environmentally innovative firms, both for profits and for investment; and tax income needed by government and local governments, to reduce public debt and finance public services. Only implementation of the Green New Deal can ensure a more stable, more sustainable economy – one that will generate the finance and income needed to transform the economy away from fossil fuels. What we can do, as Keynes once argued – within the limits of our imagination, intelligence and muscle, and within the limits of both the economy and the ecosystem – we can afford. D. Wallace-Wells, ‘The Uninhabitable Earth Famine, Economic Collapse, a Sun that Cooks Us: What Climate Change Could Wreak – Sooner Than You Think’, New York Magazine, 9 July 2017. D. McCrum, ‘Saudi Aramco IPO Will Leave Fund Industry with No Place to Hide: Listing Offers a Unique Experiment to Prove the Value of Paying Stock Pickers’ Fees’, Financial Times, 20 July 2017. G. Tily, ‘The National Accounts, GDP and the “Growthmen”’, primeeconomics.org, January 2015. M. Liebreich, ‘Bloomberg New Energy Finance Summit’, agora- energiewende.de, 25 April 2017. ComRes, ‘Survey of British Adults on Behalf of ECIU on Climate Change’, February 2017. Verco, ‘Warm Homes, Not Warm Words, Report for WWF-UK on How the UK Can Move to a Low Carbon Heat System’, October 2014. DECC, ‘The Future of Heating: Meeting the Challenge’, March 2013.